Dysport® is another type of Botulinum toxin, that relaxes the muscles that cause wrinkles. It is also used in the same areas, and in the same manner as Botox. 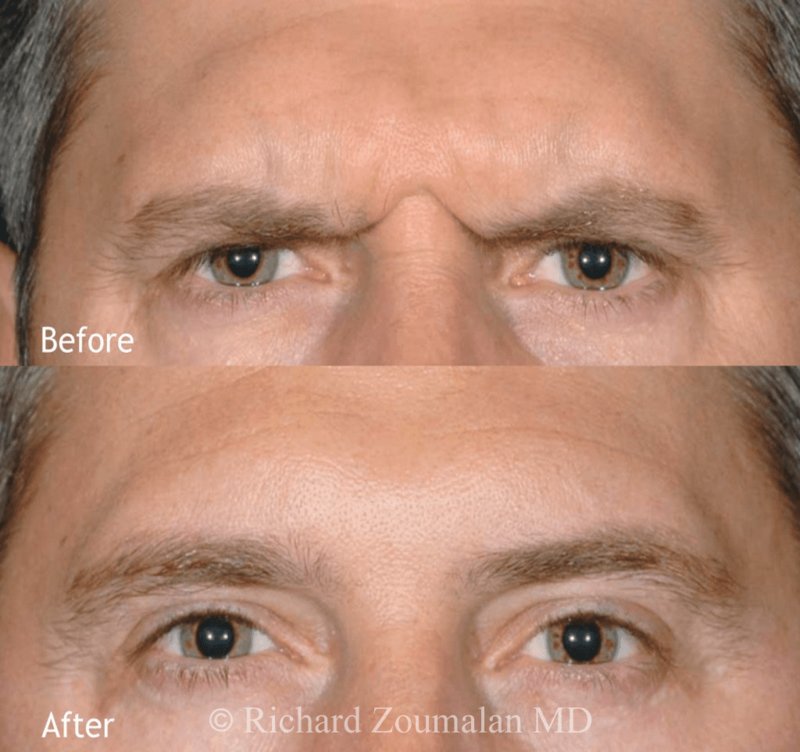 Dr. Zoumalan uses Dysport, as well as Botox, for patients who desire to improve unwanted wrinkles. These treatments are unique, just as our patients. Dr. Zoumalan recommends coming in for a consultation to discuss the best treatment plan for you. 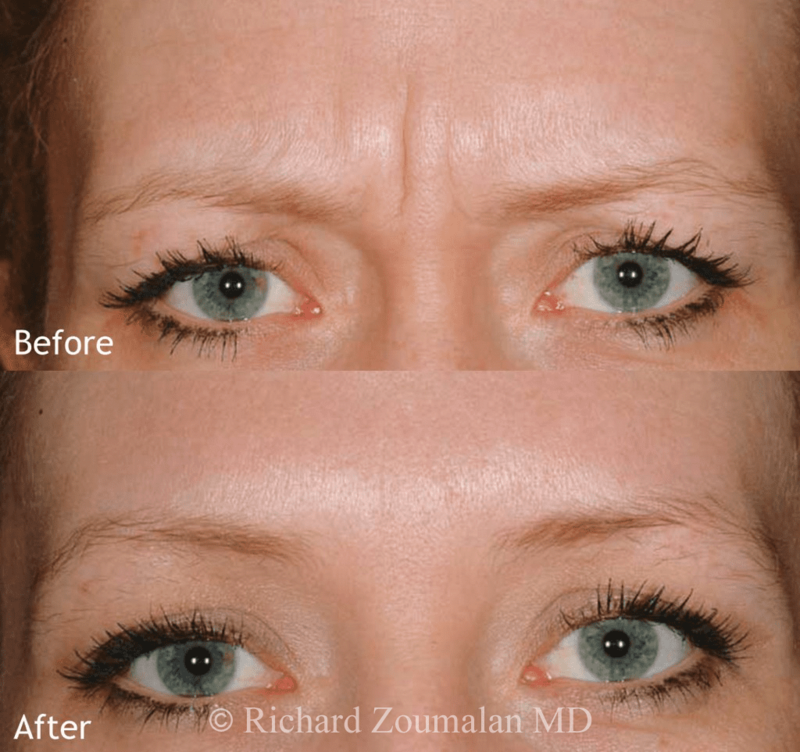 This patient underwent treatment of her vertical lines between her eyebrows with Dysport. You can see improvement after just one treatment. Photos courtesy of Medicis. Dysport results 2 weeks after treatment. Photo courtesy of Medicis. There are so many people who perform Dysport. Why Choose Dr. Zoumalan? Dr. Zoumalan is a face specialist, who has studied the anatomy of face thoroughly, including producing peer-reviewed research on the anatomy of the face. He is a Board Certified Head and Neck Surgeon who has dissected and operated on the face with a level of expertise that few in the world possess. 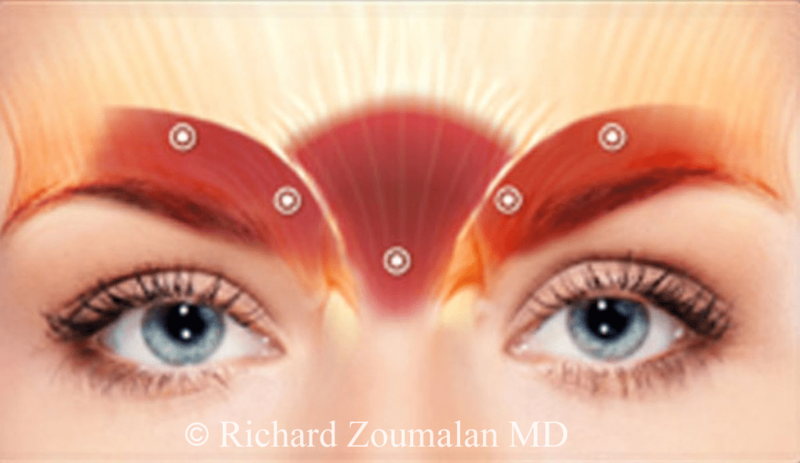 Understanding the most optimal use of DYSPORT or Botox requires understanding of the anatomy of the face. Dr. Zoumalan has also published over 50 peer-reviewed articles on surgery of the face and neck and has an extensive knowledge of surgical and non-surgical procedures.